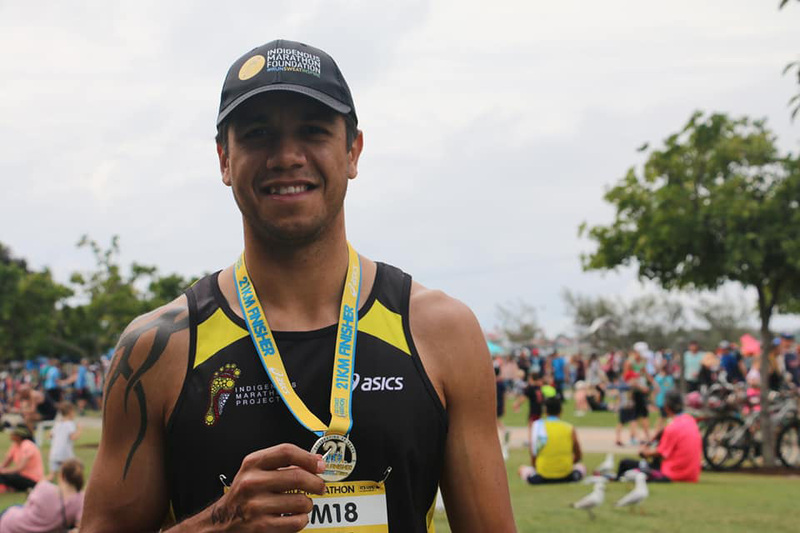 UWA graduate Torey Rickerby, awarded runner up for the NAIDOC Education Achievement Award for his leadership, mentorship and representation of Aboriginal students in Perth, says he uses marathon running as a metaphor for life. “Yes there are challenges but once you push through them and get through the pain barrier, it’s a great feeling,” says the 24-year-old Masters of Engineering alumnus who has just returned from running his first half-marathon on the Gold Coast. A Team effort. Torey (right of photograph) and fellow IMF runners on the Gold Coast. 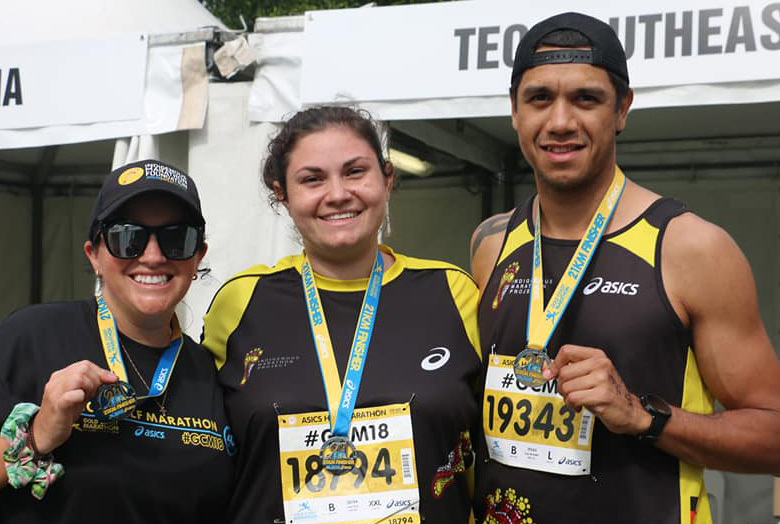 Torey was one of a team of runners from across Australia who travelled to Queensland as part of the Indigenous Marathon Foundation (IMF) team to have a crack at one of the nation’s best road races. The IMF is a health promotion charity that uses running to celebrate Indigenous resilience and achievement with the aim of creating inspirational leaders and in November Torey hopes to be with the group when they travel to compete in the New York Marathon. “The program selects 12 people to run but your place isn’t guaranteed until you pass a 30km trial in Alice Springs in September so I’m really hoping to get through,” he says. Torey, who moved from Derby in the state’s far north to board at Hale School in Perth when he was just 16-years-old and has 11 siblings in what he describes as a busy, mixed and happy family, attributes much as his university success to UWA’s School of Indigenous Studies (SIS). SIS were and are like a family to me. I wouldn’t have gotten through my degree without the support and friendship of the people who work there. When Uniview caught up with him, Torey was three days into a new job, as an engineering grad with Canadian engineering consultancy WSP Global, but says he’ll continue his work with students and prospective students at UWA, assisting and encouraging their interest in engineering. Always actively involved in his community, he has represented Indigenous students as the Chair of the Western Australian Student Aboriginal Corporation and previously sat on the UWA Student Guild as a councillor and later as the sports representative ensuring Indigenous students had the best representation at UWA in sport. Young musician and playwright Kobi Morrison, a 24-year-old Bibbulumun Noongar who was born and raised in Perth, is also celebrating after being awarded the 2018 NAIDOC Youth of the Year Award. 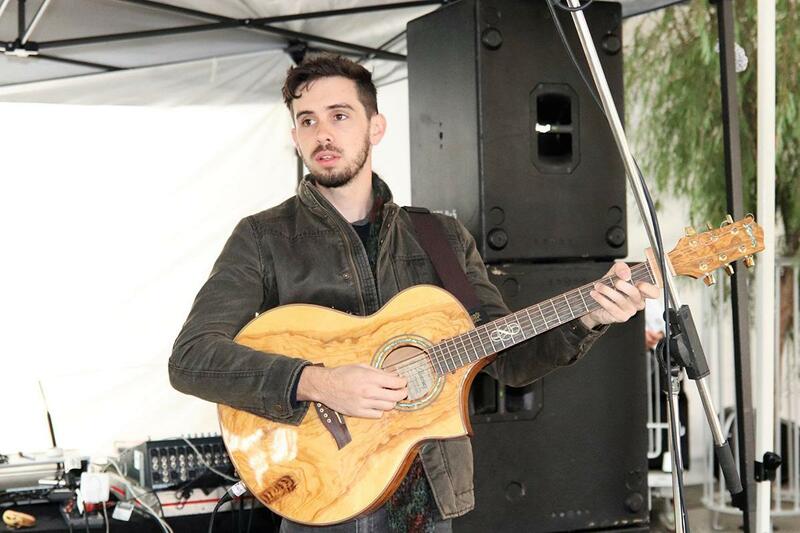 The UWA English Major who says he uses music and songs as a tool to teach language to others, established the Koondarm Young Adults Choir, and is involved in a range of other music projects including Moombaki, Madjitil Moorna and Endeavour. He ran a Nyungar songs workshop at the Disrupted Festival last year. Kobi was also involved in the 2017 Scribblers Festival as part of FORM’s Creative Learning Program that works with children and young adults to equip them with the skills and confidence to approach the challenges of a changing world with lateral thinking ability, creativity, and resilience. Professor Jill Milroy from UWA’s School of Indigenous Studies said both students were exceptional young people who were committed to the achievement of Aboriginal people’s rights, aspirations and potential and the recognition of Indigenous knowledge, culture and values. NAIDOC Week runs from 8-15 July 2018. This year’s theme is “Because of Her We Can”.